Grey squirrels are abundant in many parts of the United States. And it is right around now that these frequently spotted mammals are having their babies. 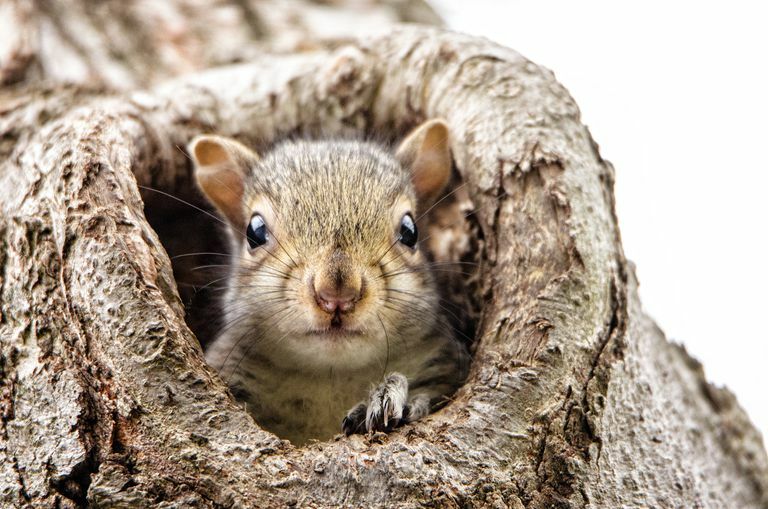 Grey squirrels have babies twice a year - in the early spring and the late summer. So it is that time of year again when baby squirrels may be just making their first appearances or even venturing from their nest. Grey squirrels typically have three to four babies in each litter. By four weeks of age, the babies' eyes open and by six weeks, the young are making their way out of the nest. By the time they reach eight or nine weeks of age, baby squirrels are no longer nursing and are generally able to survive on their own in the wild. So it's a short window in which baby squirrels rely on their mothers to survive. But despite their mother's best intentions during this period, it doesn't take much - a storm, a downed tree, or prowling house pets - to seperate a young baby squirrel from its mother. What should you do if you find a baby squirrel in need of help? For starters, you should assess whether or not the squirrel is injured. Is it bleeding or does it appear to have broken bones? Do you see any wounds? Was the squirrel being attacked by a cat? If you answered yes to any of these questions, contact your local wildlife emergency center as soon as possible. If you're not sure whom to call, start with your local animal shelter or police station. They should have contact information for your nearest wildlife hospital or rehabilitation center. If the squirrel is not injured, and it looks like it weighs around a half a pound or so, it may just be old enough to survive on its own. A good rule of thumb is that if the squirrel is old enough to run from you, it is old enough to take care of itself. If you do decide to pick up the squirrel in order to evaluate it, be sure to wear thick leather gloves before handling. Even baby squirrels can have a strong bite! According to the Wildlife Center of Virginia, if the squirrel's tail is fluffed out and it weighs more than 6.5 ounces, it does not need human intervention in order to survive. If not, the squirrel may still need to nurse and be cared for by its mother.If you can locate the nest, place the baby in a box with an open lid at the base of the tree where the nest is located, If it is cold out, add a bag of warmed rice or hand warmers to the box to keep the baby warm while it waits for its mother. Check back frequently to see if the mother has found and relocated her baby. If not, call a wildlife rehabilitator to reassess the situation. Whatever you do, do NOT attempt to bring the baby squirrel home and raise it as a pet. While they may seem cute and cuddly as babies, squirrels are wild animals and it won't take long before they need to get back out into the wild. But too much time around humans could make it more difficult for a squireel to survive on its own. 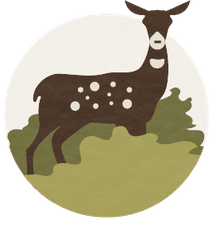 When in doubt, call your local wildlife rehabilitators and they can talk you through the situation and help you assess whether or not human intervention is needed. In many cases, nature can take care of itself and the baby squirrel can survive just fine without your help. But if help is needed, there are teams of professional and volunteer rehabilitators that can assist a young animal in getting back on it's feet.